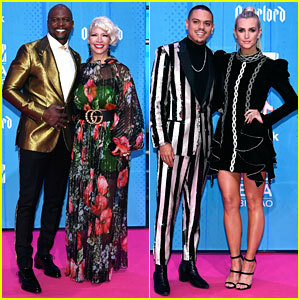 Terry Crews and his wife Rebecca King-Crews make their arrival at the 2018 MTV EMAs held at the Bilbao Exhibition Centre on Sunday (November 4) in Bilbao, Spain. The longtime couple were joined at the event by Ashlee Simpson-Ross and Evan Ross, as well as Narcos: Mexico stars Micheal Pena and Diego Luna. “Just arrived in Bilbao, Spain for @MTVEMA!!!! Since I was a little boy, growing up in Flint, MI— it was ALWAYS my dream to travel the world. I was 18 years old when I took my first flight on an airplane— AND IVE NEVER COME DOWN!” Terry tweeted the day before. FYI: Ashlee is wearing a Raisa & Vanessa dress, Giuseppe Zanotti shoes, and XIV Karats jewelry. Evan is wearing an ASOS suit, Saint Laurent boots, and an XIV Karats necklace. Ashlee Simpson & Evan Ross Have a Slime Party With Daughter Jagger! Ashlee Simpson and Evan Ross had a fun day out with daughter Jagger! 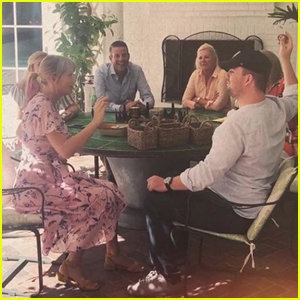 The musical couple brought the three-year-old to the Poopsie Slime Surprise Party on Friday (November 2) in Los Angeles. During the event, the trio got the chance to make their own slime and check out the company’s brand new toys including the Pooey Puitton and Poopsie Surprise Unicorn. Jagger was all smiles as she got to mixing and match the colorful slime. “Thank you @Poopsieslimesurprise for such a great day! 💕 We had so much fun making #PoopsieSlime with our family, we can’t wait to make more!” Ashlee wrote on her Instagram after the event. FYI: Ashlee is wearing a Veronica Beard dress and Saint Laurent boots. Olivia Munn wears an irridescent, see through jacket while arriving for Kate Hudson‘s Halloween Party on Saturday night (October 27) in Los Angeles. 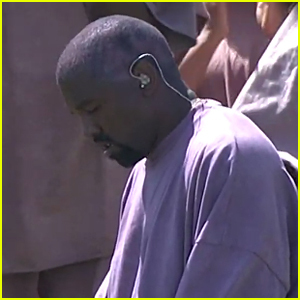 The 38-year-old actress and a group of friends wore what they predicted to be Yeezy‘s season 27 fashion collection. “#yeezyseason27 #happyhalloween,” she captioned a photo from the photo booth. Check it out here! Also in attendance were the hostess herself, Kate Hudson, and her partner Danny Fujikawa, who both wore ’70s inspired looks, as well as Zendaya, as Offred from The Handmaid’s Tale, Evan Ross, Rachel Zoe and husband Rodger Berman as Scarface‘s Elvira and Tony, Erin Foster as a bride, and Eiza Gonzalez as Catwoman. 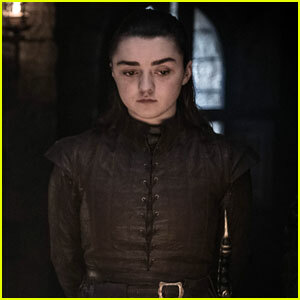 Be sure to check out Joe Jonas dressed as his fiancee Sophie Turner‘s Game of Thrones character at the same party. FYI: Olivia is wearing a Milly button-down shirt. Evan Ross puts his arms around his wife Ashlee Simpson while hitting the carpet at the 2018 Angel Ball held at Cipriani, Wall Street on Tuesday (October 22) in New York City. 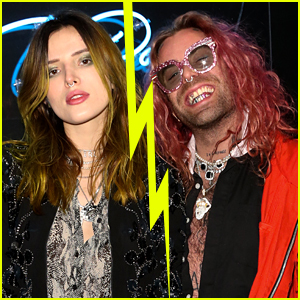 The happy couple and singing duo were joined at the event by Nina Agdal and her boyfriend Jack Brinkley-Cook, Julia Michaels, driver Jeff Gordon, Star Jones, Orange Is the New Black‘s Selenis Leyva, Ivana Trump, Coco Rocha, Bregje Heinen and Queer Eye‘s Karamo Brown. The signature fundraising event of Gabrielle’s Angel Foundation, the Angel Ball stands out as one of the highlights of the New York social season. 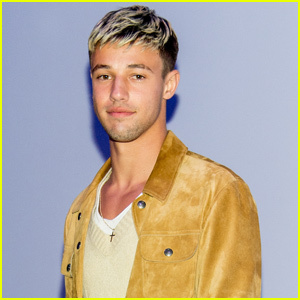 This star-studded event, known for the amazing live entertainment and celebrity participants, honors those outstanding individuals who have made significant humanitarian and philanthropic contributions in support of cancer research. FYI: Ashlee is wearing Ralph & Russo couture, Giuseppe Zanotti heels, Narcisa Pheres diamond earrings and a Roberto Bravo diamond ring. Nina is wearing a David Koma dress. Julia is wearing a Thai Nguyen Atelier gown. 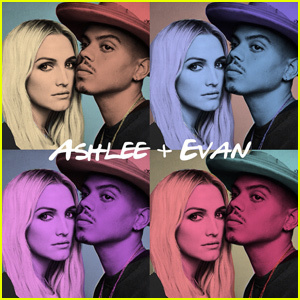 Ashlee Simpson & Evan Ross Announce Tour & Drop Debut EP - Listen Now! Ashlee Simpson and Evan Ross just dropped their self-titled EP! “We’ve put so much love into this!! I hope you love listening to our new #AshleeandEvan EP!” Ashlee wrote on her Instagram. Ashlee and Evan also announced an eight city tour starting in January of next year! 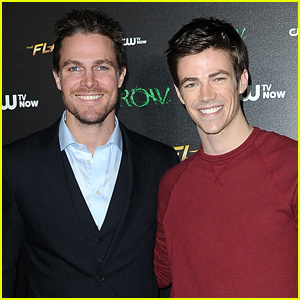 You can download their Ashlee + Evan EP on iTunes here. 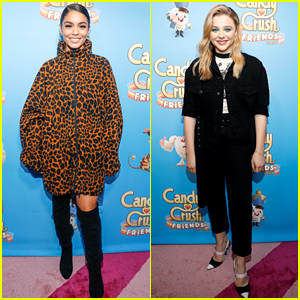 Vanessa Hudgens and Chloe Moretz walk the carpet while attending the launch of the new Candy Crush Friends Saga game on Thursday (October 11) in New York City. Guests at the launch got the chance to play the game and have it projected onto a 26-story building! FYI: Ashlee is wearing a Khosla Jani jacket.